Wear your love of Back to the Future with this stylish enamel pin! 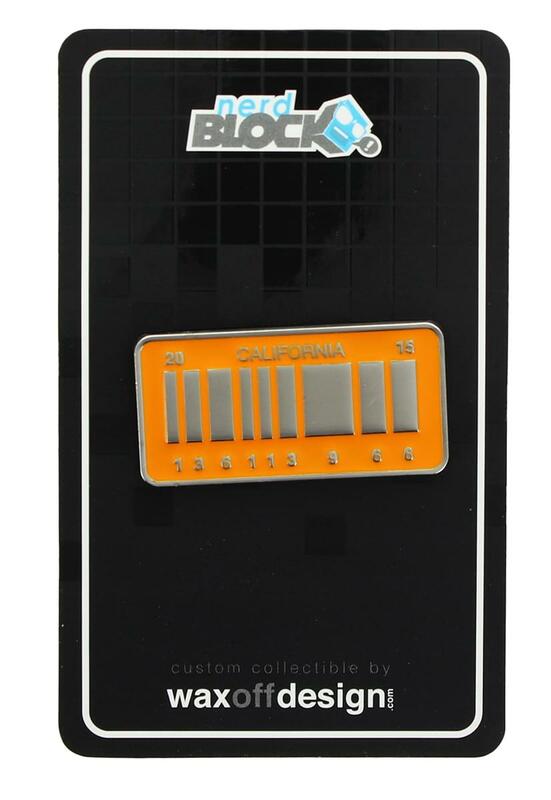 Detailed enamel pin features the California 2015 futuristic License Plate from Doc Brown's DeLorean Time Machine. A Nerd Block exclusive.